New automation and management services for data science and IT teams productionizing workflows and data science applications. Automating Scalability! Allow self service launching of multiple workflow executors for scaling up and out workflow execution. For example train 300,000 models and satisfy performance needs with a model factory. Work on AWS, Azure, Kubernetes and more. Support GPU-enabled hardware to accelerate Deep Learning (Keras, Tensorflow, DL4J) workloads. Architected with high-availability in mind, that means if you need to execute a workflow, you can trust it can start and finish. Use server infrastructure to execute workflows. 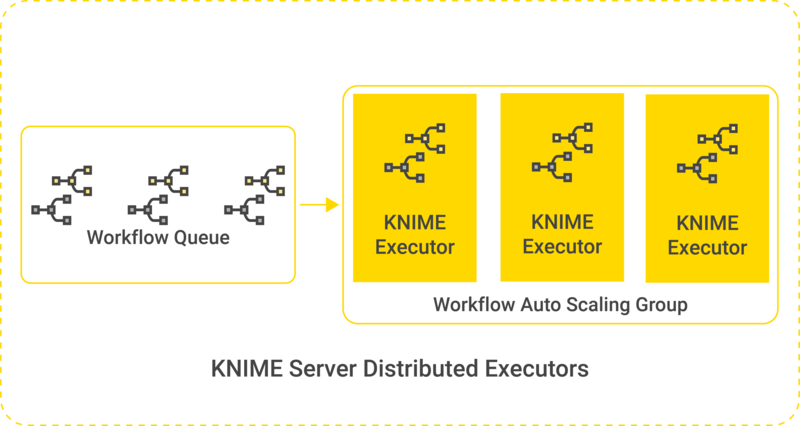 KNIME Server can provision compute power to increase performance resulting in faster workflow execution. 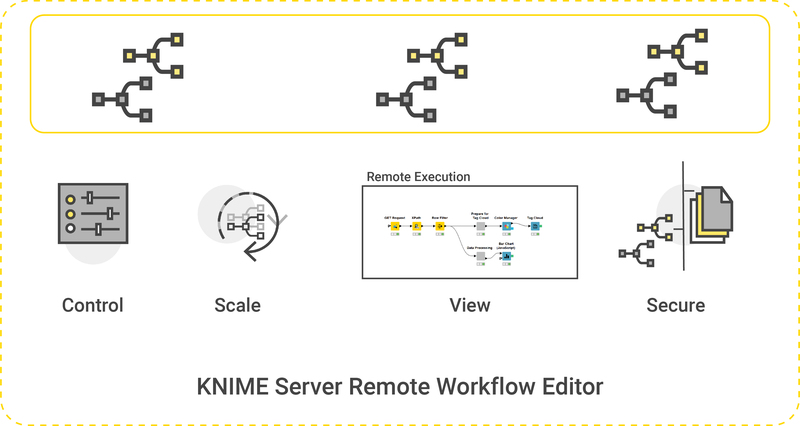 Co-locate your workflow with shared data (and external resources like databases/Hadoop clusters) on KNIME Server for better (network) performance. Provision KNIME Server in a secure zone of your network where it can connect directly to Big Data/Hadoop/Spark (and other) resources without needing proxies, port forwarding etc. View production workflows executing, to help with debugging, optimization, and progress monitoring. 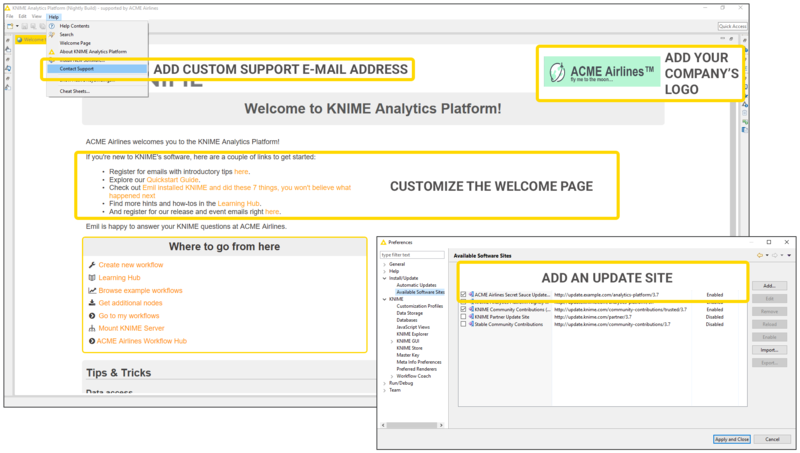 Define and centralize KNIME Analytics Platform customization profiles. Simplify the management of large deployments with automated profile deployment to KNIME Analytics Platform clients in your organization. Benefit data scientists who don’t have to waste time finding the right database driver versions and configuration settings (recommendations specific to your organization can be supplied by the server admin). Support your organization's community of KNIME users by adding links to specific (internal) resources - e.g. wiki pages, support email addresses. Publish company logos and other team information to the graphical workbench.